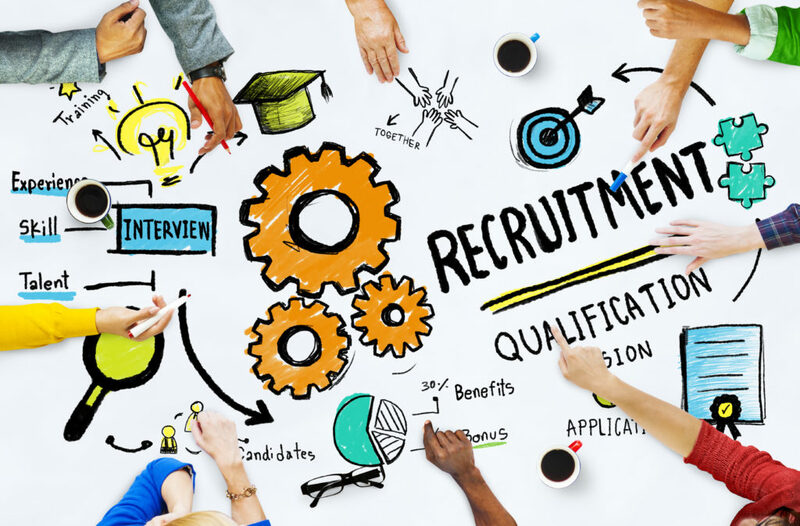 Are you responsible for your company’s recruitment strategy or are you looking to implement such a strategy in your own business? Whether you’re hiring for a small company that’s looking to grow or an established entity that needs to fill open slots, the recruitment process can be a long and tiring one; and the longer it takes to find star talent for a new position or attract a suitable replacement for a free position, the bigger the impact on your company’s productivity, efficiency and bottom line. Looking to hire as your company moves forward in 2019? Read on for our top three tips on how to streamline your company’s recruitment strategy so that you save time, money and effort while ensuring you hire the right person for the job. Three smart ways to refine your hiring plan:Make sure your job spec is specific. To avoid having to shift through a ream of applications, make sure you advertise for specific skills and expertise rather than just a job title or a job with a generalised description. Make known exactly what you are looking for in a candidate (and employee), and include a prioritised list of critical skills, qualifications and requirements as this will help you hone in on worthy candidates much faster. Furthermore, research shows that top talent individuals often seek out specific job descriptions and short, punchy job spec advertising, preferring to avoid complicated and long-winded application processes. So, if you think you are weeding out unmotivated or less qualified individuals by using a complicated and unnecessarily lengthy job spec, think again. Include fewer interview steps. When you’re looking to make a hire and time is of the essence, re-consider the way in which your company handles the interview process. Are candidates required to meet one team member after another in one-on-one interviews? Panel interviews might be more effective. Do they have to come in for different verification and credit checks at different times? Consolidating all administrative checks to one session is sure to make the paperwork process simpler and faster. This does not mean removing critical processes such as a full screening or meeting with key personnel from your recruitment strategy (that is sure to have more negative effects than positive), but how you go about the interview process can have a significant impact on the time and input required to make a good hire. Use the right people for the job. Your company policy may stipulate that management or department heads hire for their own teams and get involved in the recruitment process from the very start. Think about the mangers involved in hiring new staff at your company. While these individuals might be experts in their fields and excellent at their day-to-day jobs, they might not have recruitment as a top priority in their task list or have the necessary skills or experience to ensure that they are making the right hire, both on and off paper. The result can be a poor hire, mismatched hire or no hire at all. Not to mention the wasted hours of productivity that might have been better spent working. This is why it is a good idea to hire a professional and experienced recruitment agency to handle the job of hiring for you. Working with an employment agency with the right experience and accreditation, as well as knowledge of your company’s industry and needs will ultimately save you time, energy and money, and give you the best chance of hiring the best! At Lee Botti and Associates, our skilled consultants work hard to place professional staff in the most suitable roles. With over 40 years’ experience across South Africa, we specialise in supply chain, logistics, and travel recruitment. We can help you find the right employees and support you through every step of the recruitment process. Want to work with a recruitment agency that strives to make the process as smooth and seamless as possible? Speak to us – we believe in excellence through top quality service.